Lutein & Zeaxanthin : goal 10mg / day. 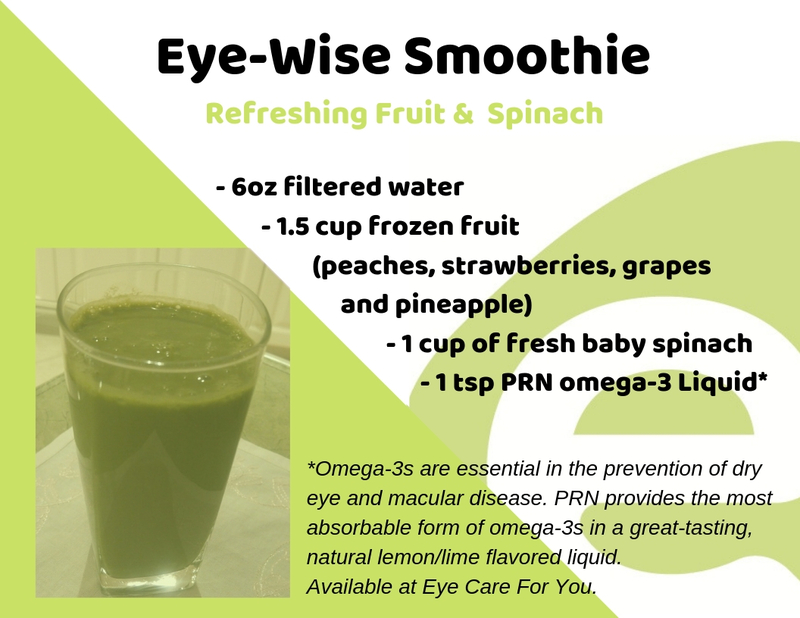 Found in kale, spinach, swiss chard, egg yolks and broccoli. 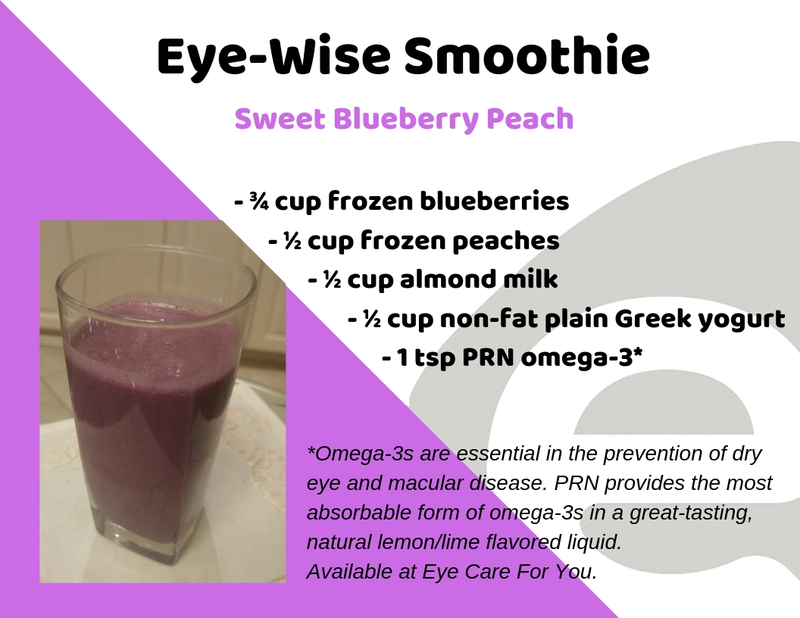 Omega 3: goal 850 mg / day (for dry eye 2000 mg / day). Found in cold water fish (salmon, mackerel, trout, sardines) – avoid flax seed oil. Vit C: goal 350 mg / day. Found in kiwis and orange peppers. Vit E : goal 15mg. Found in mangoes. Vit A & Beta-carotene. Found in sweet potatoes and carrots.